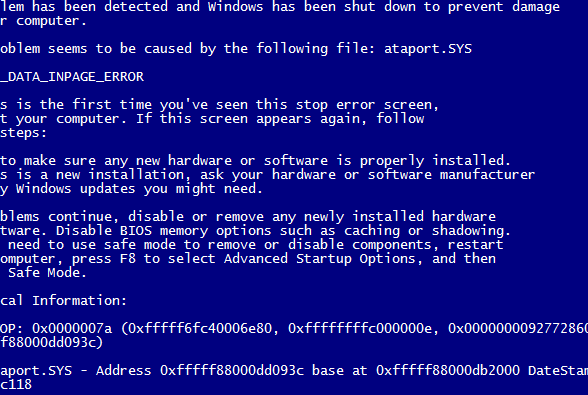 If you see a BSOD like the one above (ATAPORT.SYS error), you may be the victim of a rootkit virus. Kaspersky Anti Virus makes a free tool to remove this infection from your system. The tool is called TDSSKiller.exe and can be downloaded here. The tool has a simple GUI and can run on pretty much any system that has Windows Xp or newer operating system (64 bit or 32 bit). After running the tool and removing any infections, you must reboot your computer. After that, run your antivirus to remove any remaining infections.